The firm was taking part in the 2017 Challenge 500 which saw 9 participating teams being given a £500 seed fund and then tasked with making that £500 grow. The Newcastle lawyers raised more than any other team in the 2017 challenge and also topped the total of any team ever in the history of Percy Hedley and Challenge 500. 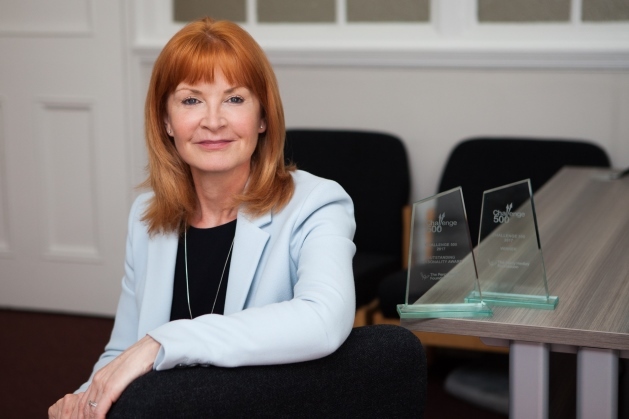 The city centre firm has a special connection with the Percy Hedley Foundation: Newcastle-based Partner Angela Curran is one of the charity’s Trustees and Chair of Governors at both Percy Hedley School and Northern Counties School. 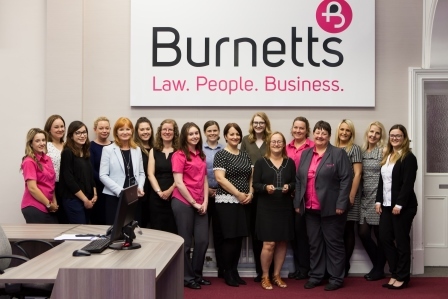 As a result of Burnetts’ Challenge 500 achievement, Angela was presented with an “Outstanding Personality” award and appointed as an Ambassador for the 2018 challenge. Burnetts’ team has raised the money through a relentless series of events: as well as the glass-walk, there was a 1980s school-themed disco, a race night, a quiz, an all-day fitness challenge and a 24 hour football tournament. Angela’s Secretary Natalie Gray overcame her fear of heights to complete a sponsored sky dive. A lot of cake and coffee has also been consumed! The 2017 challenge was launched in February 2017. The winners were announced at the Gosforth Park Marriot on 27th July 2017. Now the Challenge 500 has come to a close, a team of Burnetts’ runners will then be focussed on raising money for the Foundation by taking part in the Great North Run in September. To find out more about Burnetts’ fundraising events, visit www.burnetts.co.uk/newcastle or follow BurnettsNE on Twitter. The Percy Hedley Foundation provides a wide range of high quality, specialist and personalised care and education support to disabled people and their families.